Diane Hessan co-founded the Rev Boston retreat. Diane Hessan knows the circuit. As one of a handful of female CEOs in town, she has been asked to lecture and share her insights so often that she could easily populate her calendar solely with speaking engagements. The problem is there are not enough women like her. 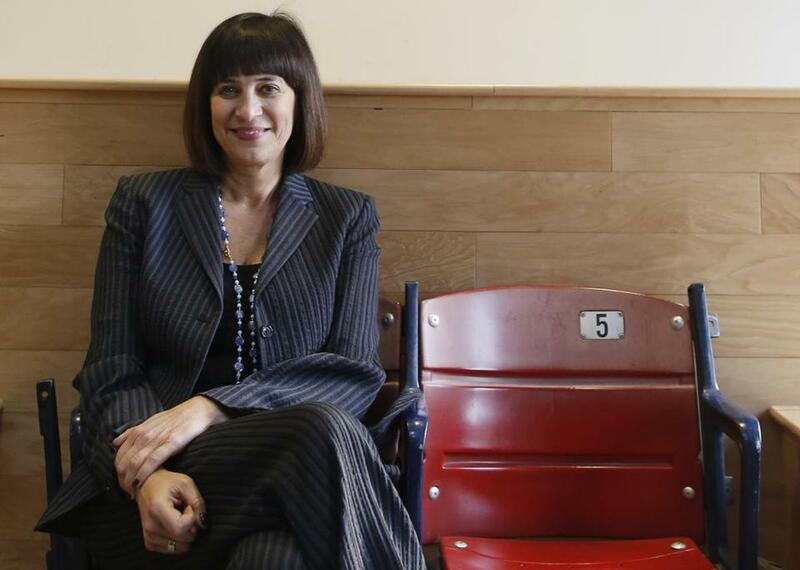 Boston’s business world is filled with powerful women who operate in the strata just below chief executive, but few of them make the leap to the corporate suite. Downey and Hessan want to change that with a retreat they’re calling Rev Boston. The initiative, run by Accomplice, is designed to launch female tech leaders on a trajectory toward the top, focusing on how to position themselves as investors, public figures, and philanthropists. The idea is to break the cycle of rah-rah programming that typically targets women, Downey said. Over the course of the weekend, the duo will join Harvard Business School professor Frances Frei and a host of other local leaders offering workshops on developing business strategy and management skills, finding the right board memberships, and how to begin raising venture funds should they decide to go out on their own. A select group of 20 women, who were nominated from tech companies across the city, will be taking part. Downey said the firm’s partners, all of whom are male, are self-conscious about the statistics — only 7 percent of partners at top-100 venture firms are women, according to the CrunchBase Women in Venture report released earlier this year. So last year, they tapped into their network and recruited the first group of “Revvers,” a mix of vice presidents and chief technology and strategy officers from a cross-section of Boston’s startup scene. The women were powerful, but they lacked a network: Before they started the sessions, only two of the 20 women had ever met. The members of this year’s class are also at the top of their game, Downey said, but most have their “heads down executing.” Her goal was to make them all stop for a few days, and look up to see the possibilities ahead, whether it’s a top gig at the company they’re working at or the start of something new. Spotted had been the kernel of an idea before Comenos attended Rev. She launched Spotted less than six months later. Since then she has raised $2 million in venture funds, and now has 14 employees in three cities. Admittedly, Accomplice, the venture firm underwriting the symposium, has its own stake in the weekend. Should they choose to launch companies themselves, the firm will already have these women in their orbit and know about their startups, to get in during early funding rounds. But Downey insists the firm’s willingness to host events like Rev isn’t simply about making new deals. She hopes it’s a sign that the needle might be moving. Case in point: In the last year, a number of women who attended the first session have made major career moves. That includes Downey herself, who was elevated from director of culture to become a principal at Accomplice this year. “I’m walking proof,” she said.